Greetings from the brethren at North Bank Lodge! We are in the home stretch of our Masonic year, preparing not only for our last few lodge meetings of the season, but also for Washington Grand Lodge! As many of you are aware, this is the first time in a LONG time (ever?) that Grand Lodge has occurred in District 19. 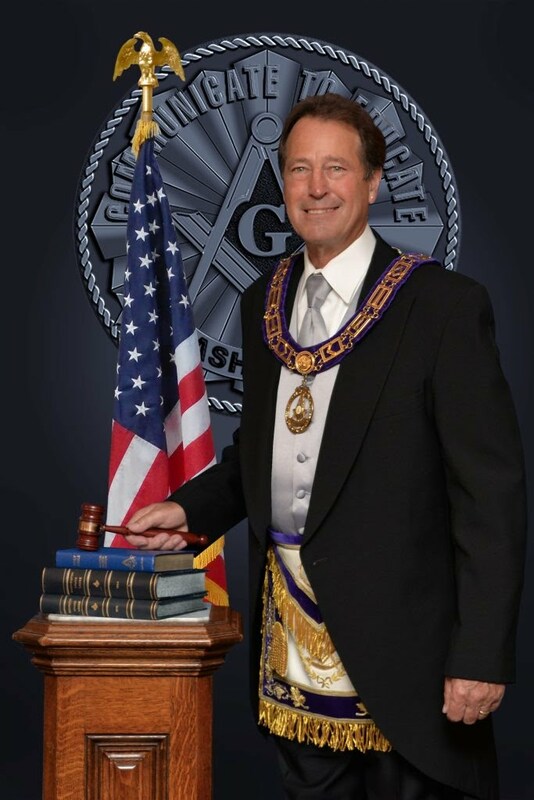 Many Masons from the area are attending, and many opportunities exist to help the Grand Lodge put on this event, and really let our District shine! For Memorial Day this year, North Bank paid homage to the veterans of Camas and Washougal by placing a wreath at the Veterans Memorial, located at the Port of Camas/Washougal. Many thanks to WB Ron Brown for arranging for the placement of the wreath. WM Mac Parker read a brief poem honoring those who have served and given their lives for our country. A number of stories were told about the original construction of the monument, and the long road it took to come to stand here, with the names of our soldiers etched upon it. If you'd like to see a few images from the monuments dedication, take a look at a new color scan of our January 2005 Trestle Board, which has a few images you may enjoy! As we come close to the end of our Masonic Year, we still have a few lodge meetings left in the month of June. Please take some time on a Monday evening and come visit us at North Bank. We look forward to your visit!